In our efforts to be transparent in everything we do, we wanted to introduce you to two individuals who’ve helped us raise money this year. To date, we’ve reached 97% of our year-end fundraising goals! #GivingTuesday was a huge success for us. 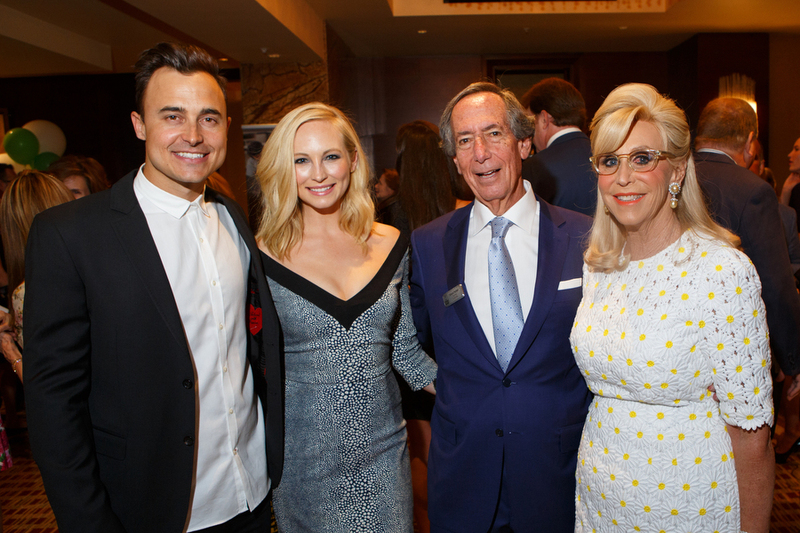 Our community was fortunate to receive fundraising support from two very inspiring and influential people: a living donor and a double transplant recipient. 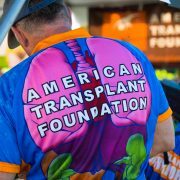 Steve Crider is a living kidney donor, an ATF mentor and Team Transplant participant. 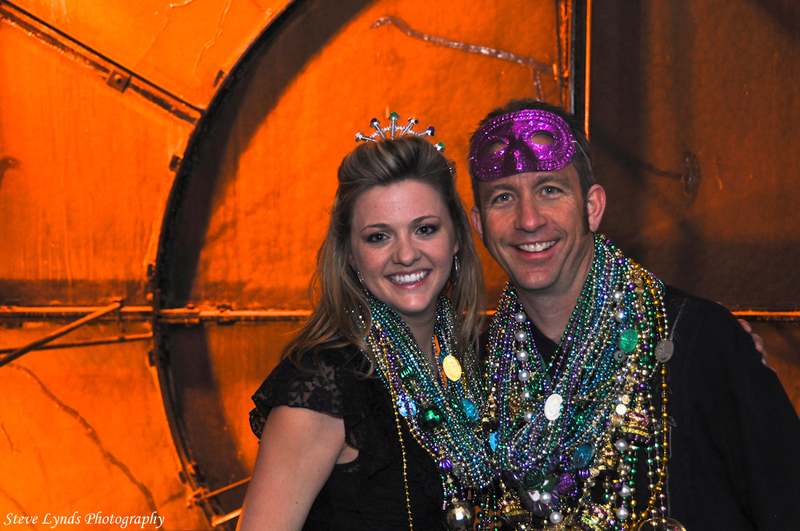 His daughter Kelsey, who’s received 4 kidney transplants, also continues to support our mission. And her most recent living donor was found via our billboard promotion campaign! Steve and his family continue to inspire us every day. They raised $1,000 via Facebook this #GivingTuesday! Liz Strom is a double transplant recipient, public speaker and our #GivingTuesday public campaign influencer­. 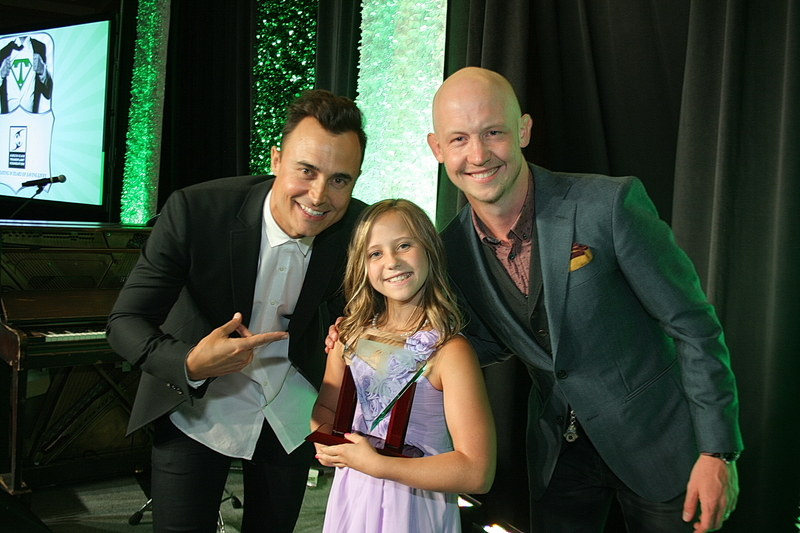 Her story is inspiring to many and she helped our community raise awareness and over $1,200 this #GivingTuesday! Because of our generous community, we’re confident we’ll reach our goal of 100%, raising $50,000 by the end of 2018! Just three toddlers celebrating their 3rd birthdays and opting out for donations in leu of gifts so someone’s Mom, Dad, or sibling, can be there for them for a long time. If you are inspired to create your own Facebook fundraising campaign this holiday season, perhaps in lieu of gifts or in honor of someone special, all it takes is a few clicks to set up. Just make sure to search for Transplant Foundation Inc, instead of American Transplant Foundation. 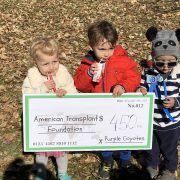 https://www.americantransplantfoundation.org/wp-content/uploads/2018/12/3toddlers.jpg 3024 4032 Anastasia Henry https://www.americantransplantfoundation.org/wp-content/uploads/2018/04/ATF-circle-logo-3.jpg Anastasia Henry2018-12-18 11:50:562018-12-18 10:47:49Because of YOU, we’ve reached over 97% of our 2018 Fundraising Goals! The American Transplant Foundation invited SCAD (Savannah College of Art and Design) students to respond to the theme of "Hope", and it's our pleasure to present the results! 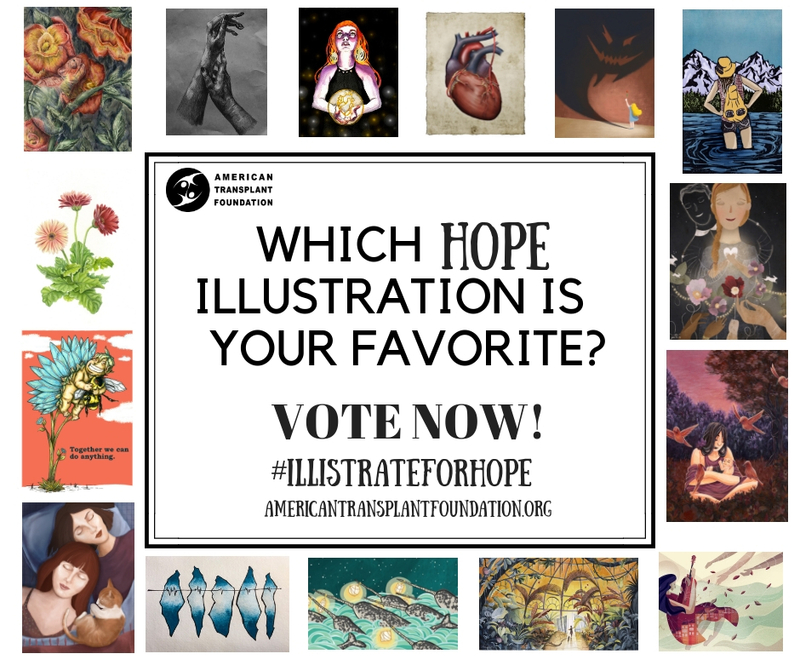 Three winners will be selected by public vote, which is live now through November 1st. Vote by "liking" or "loving" your favorite piece(s) on our Facebook page and get your friends and family in on voting too! All pieces have been donated by these amazing students to help raise funds for the most vulnerable transplant patients. Show some love and stay tuned for the winners! Location: Washington Park. Denver, Co. Thank you to all our amazing participants for walking and running the Donor Alliance Donor Dash 5K! Today, more that 2,200 Coloradans are waiting for a lifesaving transplant. 96% of them are waiting for a kidney or a liver, two organs that can be donated by a living person. Focusing on living donation is the only immediate solution for saving these lives. If just 1 out of every 3,000 Coloradans donated a kidney, we could eliminate the kidney waiting list. 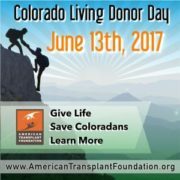 Last year, Governor Hickenlooper proclaimed June 13th to be the first ever Colorado Living Donor Day. 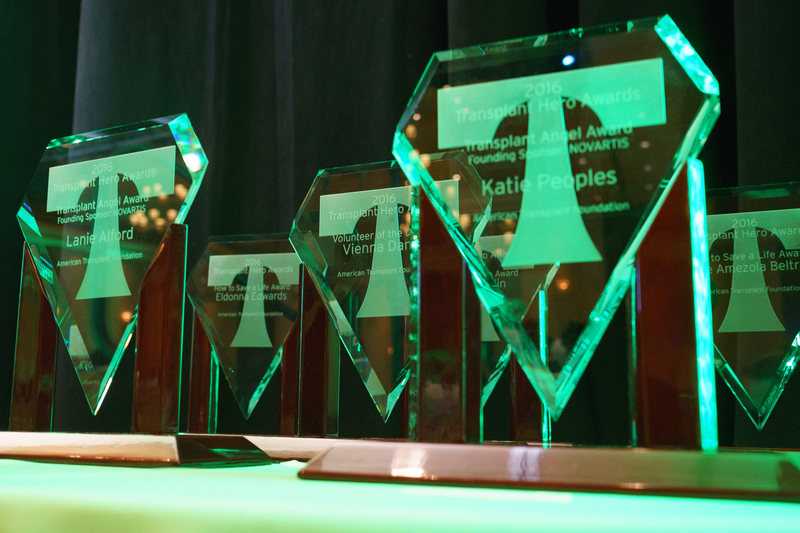 The American Transplant Foundation aims to celebrate this special day each year by providing educational and support resources to those who want to give the Gift of Life. If you are interested in becoming a living donor or are a hopeful transplant recipient who is searching for a living donor, please click here to learn more about our free 1+1=LIFE Mentorship Program. If you would like to make a donation in honor of this special day, please click here. Your donation will come with the option of sending a "Thank You" E-card to the living donor in your life and will go directly to our programs that are available to help these courageous individuals go through their transplant journeys! 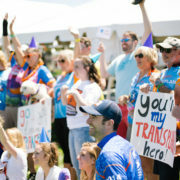 Thank you to all who rode with Team Transplant this year and helped raise over $67,000 for life-saving transplant patients! 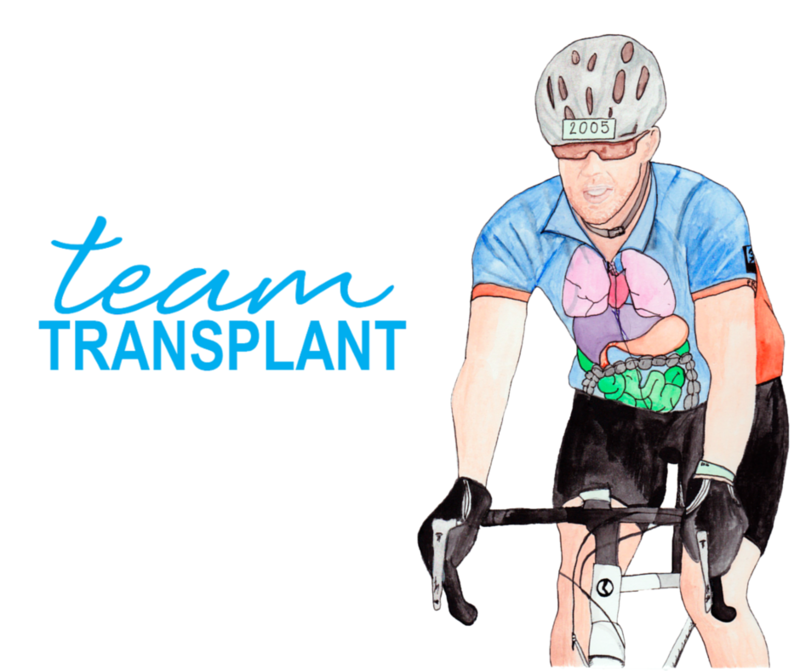 Ride with Team Transplant to help save the 2,360 Coloradans waiting for a lifesaving transplant. Courses range from 8 miles to 100 miles, fun for every age and cycling level. 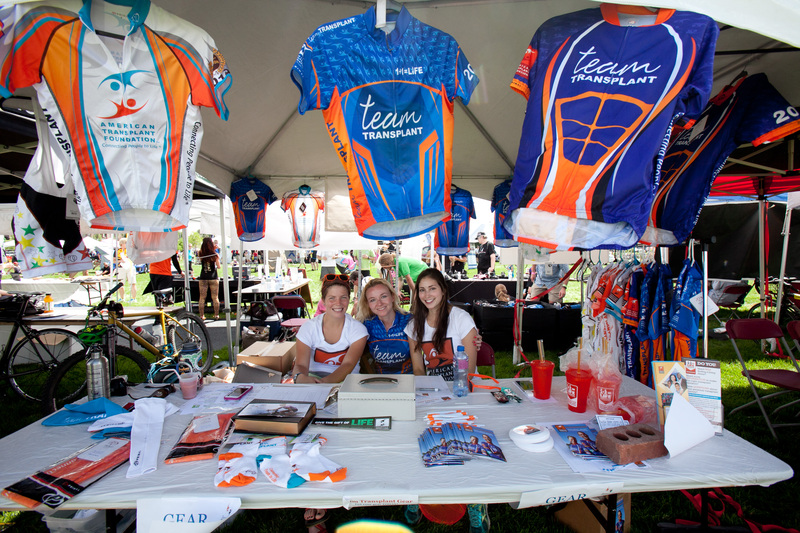 Cyclists on our team will get access to the team tent during the event with games, massages, snacks, and prizes for riders and fundraisers. 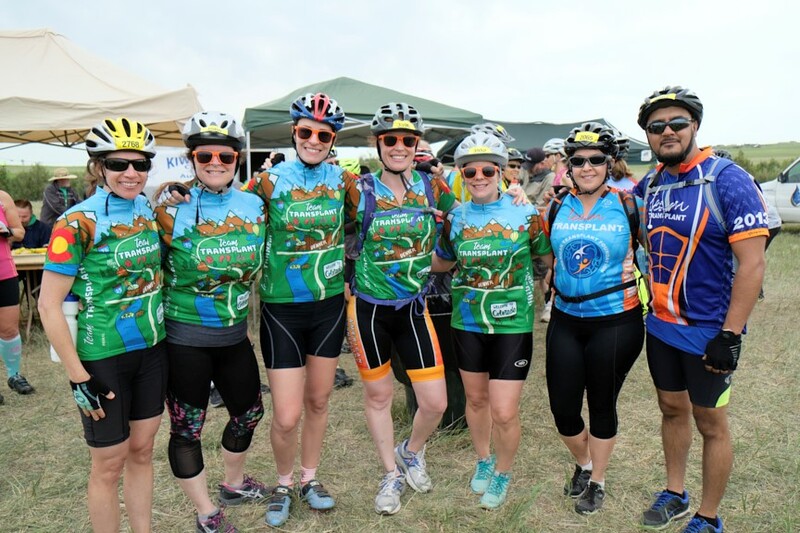 Visit the Team Page and see who else is riding and raising funds this year. 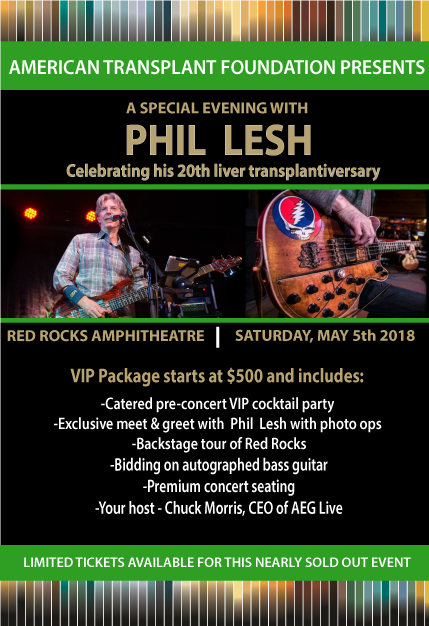 Thank you to all who joined for this incredible night of music and patient appreciation in honor of Phil Lesh's 20 year transplantiversary! Registration is open so sign up today! 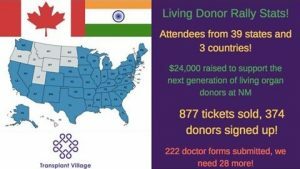 Join us as we gather living organ donors from around the world at the Cloud Gate in Chicago to set a Guinness World Record. 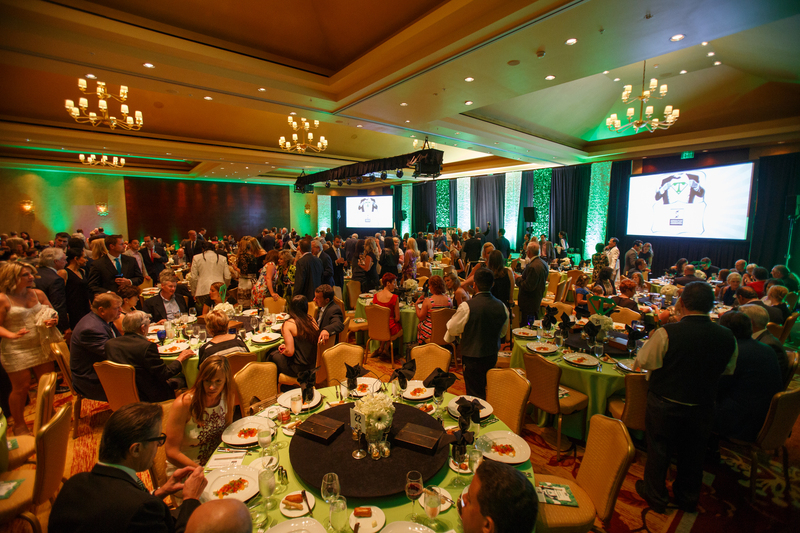 This event is being hosted by living donors for living donors with the support of Transplant Village, supporters of Northwestern Medicine’s Comprehensive Transplant Center. You do not need to be an organ donor to attend, all organ donation enthusiasts are welcome! Limited Tickets Available so get yours today! 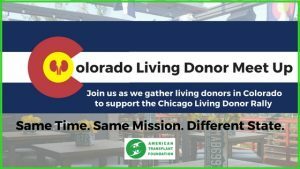 We are celebrating National Donate Life Awareness Month by hosting the Colorado Living Donor Meet Up. 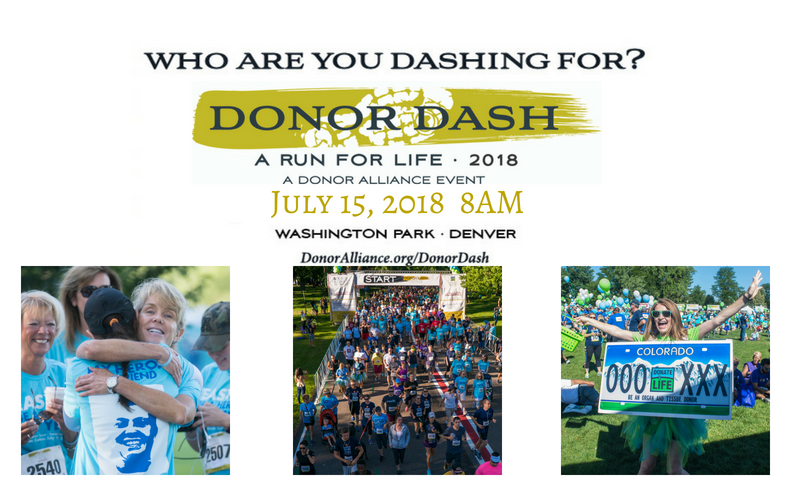 A place for living donors and transplant supporters to come together at the same time as the Guinness World Record is attempted in Chicago for the living donor count. Join us April 21st from 1:00-3: 30 pm for an afternoon of fun and celebration of all the remarkable living donors! You do not need to be an organ donor to attend, all organ donation enthusiasts are welcome! 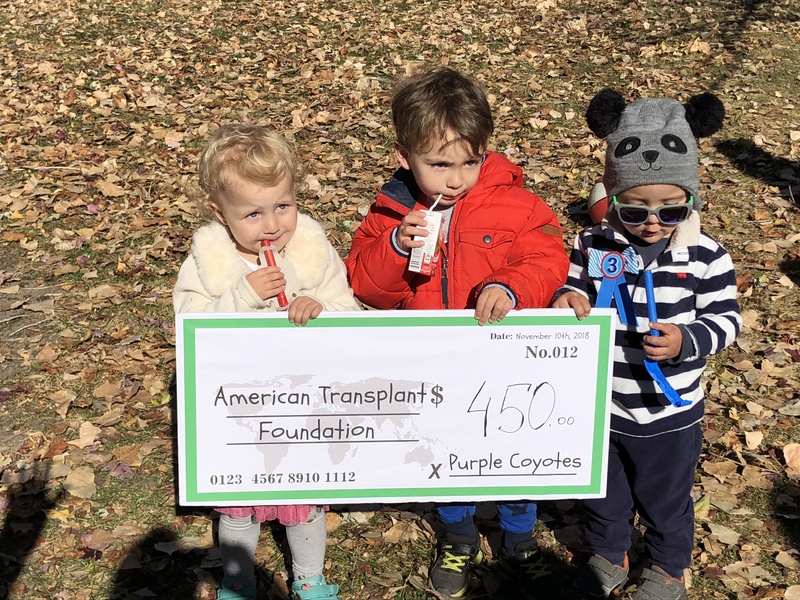 The American Transplant Foundation is again helping bring cheer this holiday season to the families of transplant patients in need. Some are single parents who are worried they won’t be able to afford gifts for their kids. Some have experienced hardships since their transplant surgery, such as losing a job or experiencing medical complications, and are struggling to make ends meet this season. 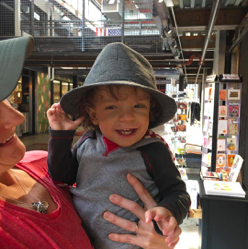 Some are families with young children whose parents both underwent transplant surgeries and are worried they won’t be able to provide for their children. 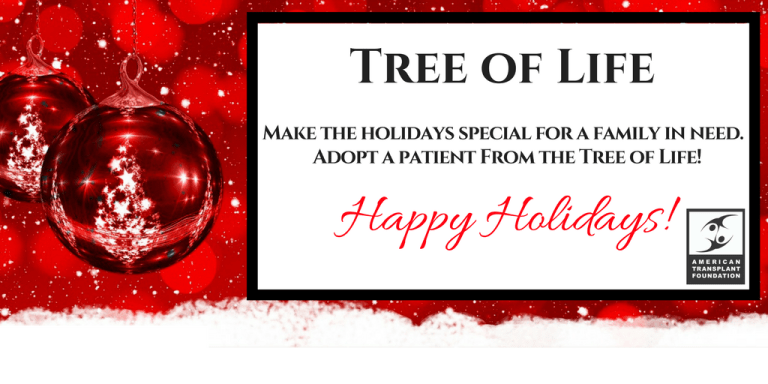 We need YOUR help this year to make these patients and their families’ holidays a bit brighter. 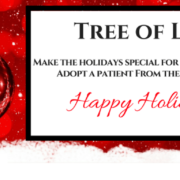 We will be distributing $50 Target gift cards to those patients most in need with your support! See how your contribution can make a big impact in others’ lives this holiday season from previous years’ cards. 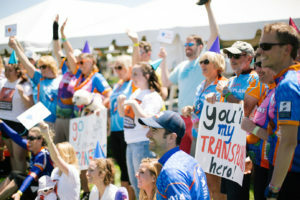 The American Transplant Foundation, based in Denver, is striving to make Colorado the first state in the country where no one dies while waiting for a lifesaving kidney. 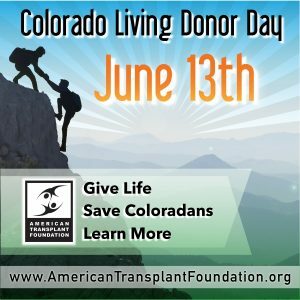 The Foundation is partnering with CBS4 and the transplant community to celebrate living donors on the First Annual Colorado Living Donor Day. Tune in to CBS4 on the evening of Tuesday, June 13th to learn about living organ donation and how you can be involved. 303-831-HELP (4357) to talk to our team and get your questions answered. 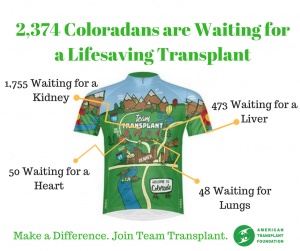 Over 2,500 Colorado residents are waiting for a lifesaving organ transplant. 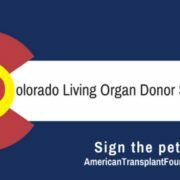 The transplant waiting list has increased 50% in Colorado in the past decade compared to the national 25.6% with organ registration only increasing 9%. 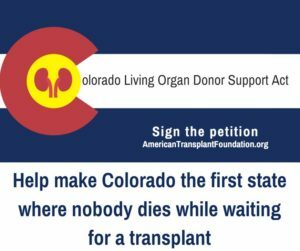 97% of Coloradans on this list need a kidney or a liver, organs that can be donated by a living person. Focusing on living donation is the only immediate solution for saving these lives. Support local artists coming together to do what they love to benefit the American Transplant Foundation. It will be an evening of live performances featuring Colorado’s local band, Echoes in Reverie, dancers, glovers, Poi artists, and comedians. Purchase tickets for $8 online or $10 at the door. 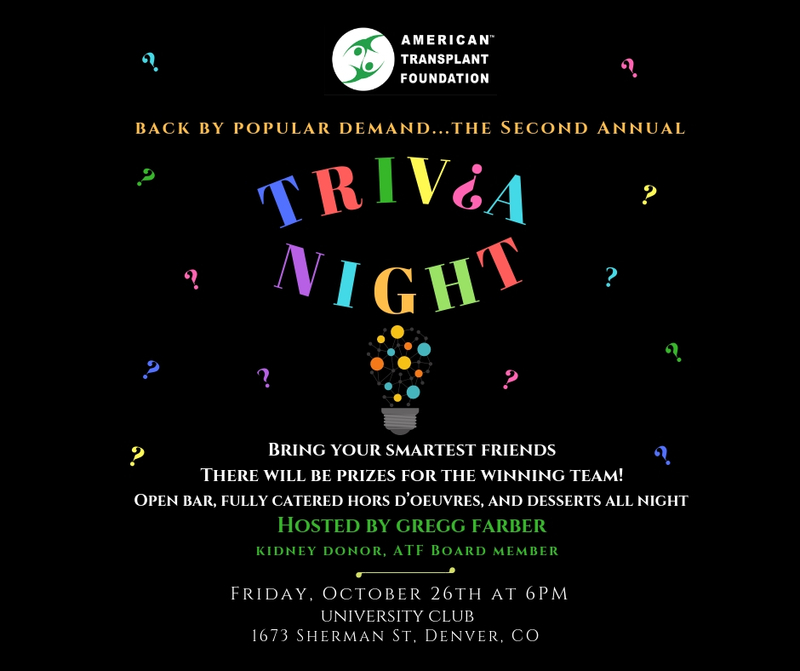 Celebrate National Donate Life Month with Team Transplant at our Kick-off Happy Hour!